Friendly Couples to Host a Party in their Home. Please contact Larry & Bobby to reserve your month! Our monthly meetings and social events have now ceased to exist. The cost to maintain and operate the website, organize monthly events is simply too much for just two people. Bobby and Larry have worked hard to keep the group active ever since taking it over 12/years ago. To those who have donated money every year to support events and our annual Pride Festival Booth will not go unforgotten or acknowledged. You know who you are! Larry has accepted a new job that will require relocation to Virginia. Music City Couples, Incorporated will no longer exist. The cost to renew the Incorporation is not justifiable. Larry & Bobby will be moving to Virginia in April/2014. If there is a couple or multiple couples interested in breathing new life into the group, please contact Larry and Bobby by private message on Facebook. This website is owned and paid for my Larry & Bobby. The website will remain active simply to redirect new comers and existing members to the Public Facebook page and also the Private Facebook page. If you are not part of the Private Facebook page, simply contact Larry through a Private Message in Facebook and he can see that you get added. The Private Facebook page provides a safe and private environment to meet and communicate with other Music City Couples for friendship and scheduling events. Our thanks to Troy and Scott, an incredible couple who suggested we setup a "Closed" Private Facebook Group just for our Music City Couples. We now have that Facebook private group setup with 135 members and growing. Please click the above Facebook Logo/Link. If you are able to access our private group, you are already a member and have full access to post messages, ask questions, share events, and make friends. 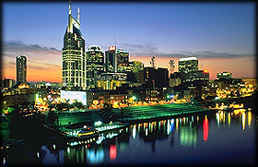 If not, please contact the Music City Couples Web Services, (info@musiccitycouples.org), by email, and ask to be added. Please Note: You must have a Facebook account to be added to our Facebook Private Group.